Assuming the network design is completed, we’re looking at the process of physically installing and completing the network, turning the design into an operating communications system. The network owner or user must choose a contractor, perhaps the most important decision in the entire process. The fiber optic contractor should be able to work with the customer in each installation project through six stages: design, installation, testing, troubleshooting, documentation and restoration. The contractor must be experienced in fiber optic cable plant installations and should be able to provide references for similar work. That just covers the company. Each worker that will be in a crew installing the network needs to be trained and should be certified as a fiber technician such as a FOA CFOT, since it is the individual worker, not the company, that will be doing the actual installation work. New workers or apprentices should have an experienced supervisor and or mentor under whom they are working and learning the skills of a fiber optic installer so their work is properly done also. One should be able to rely the contractors to not only do the installation but to assist in the design of the network and help choose components and vendors. Once the contractor has the assignment, they should be able to help the customer choose the right kinds of fibers, cables, connectors and hardware for the installation. The contractor should know which components meet industry standards which will ensure interoperability and what are the state of the art components to facilitate future expandability. The experienced contractor also should be able to help in the choice of vendors. Experience with particular product types and vendors will allow the contractor to assist the customer to choose products that make the installation faster and easier as well as higher performance and more reliable. Should the customer choose components that are unfamiliar to the contractor, it is important that the contractor know early in the process so they may obtain proper training, often from the manufacturer, as well as any unique tools that may be required. We all know “the customer is always right,” but our experience is the customer is probably not as familiar with fiber optic technology and practice as an experienced contractor. The contractor may need to discuss certain choices with the customer where they believe alternatives may be better choices. 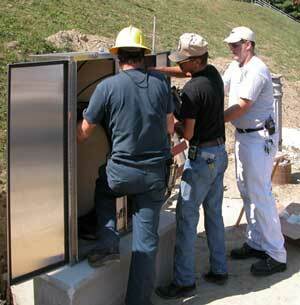 The actual installation process can involve more than just putting in cable, terminating and testing it. If the contractor is knowledgeable and experienced, the user may ask the contractor to purchase, receive, inspect and bring components to the work site also, which can be another good source of revenue for the contractor. Having full control of the materials process can also make life easier for the contractor, as they have a better chance to keep on schedule rather than depending on a customer who has many other priorities. Plus, they may have the latitude to choose components they are more familiar with, facilitating the actual installation process. The technicians actually doing the installation should be trained and certified by organizations like The Fiber Optic Association (www.thefoa.org) and/or manufacturers of the products being installed. Certification provides a level of confidence that the techs are knowledgeable and have the skills needed for the work involved. 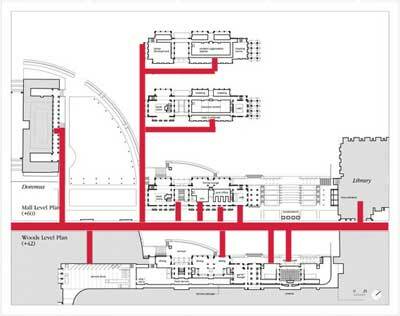 The final four requirements from the contractor, testing, troubleshooting, documentation and restoration, need to be discussed before the project ever begins. When it comes to testing, every fiber optic project requires insertion loss testing of every link with a light source and power meter or optical loss test set according to industry standards. Some projects, like long outside plant links with splices, may also require OTDR testing. The contractor and customer must agree that testing includes troubleshooting problems – and fixing them – as well as documenting test results for every link. Likewise, for the contractor, documentation must begin before the project starts so the scope of work is known to everyone and end only when the final test data is entered. Copies of the documentation, along with excess components left over from the installation, must be presented to the customer to facilitate future network restoration, should it be required. The contract must include detailed requirements for the project, spelling out exactly what is to be installed, including acceptable test results, and what documentation must be provided. All this should be discussed between the customer and the contractor and agreed to in writing. They are not irrelevant details, as they are important to ensure the customer gets what they expect and the contractor knows what is expected of them when designing the network, estimating costs, doing the actual installation and providing proof of performance in order to show the work is completed and payment should be made. 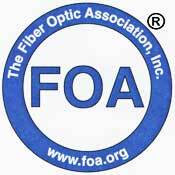 (C)1999-2008, The Fiber Optic Association, Inc.